A few years ago, I created my top 10 plugins list. A lot has changed since 2014, so check out my updated list. In my opinion, this is the greatest parametric EQ of all time, and it’s not even close. You’ll find this plugin all over my mix and post-production sessions. 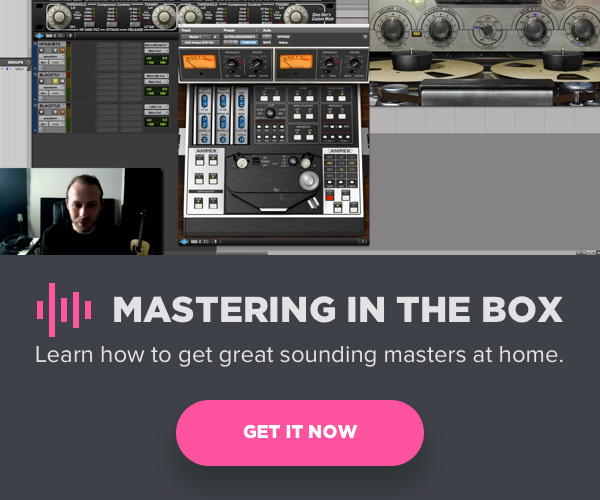 I even use it when mastering in the box. It’s easy to use, clean-sounding and feature-laden. It’s also got an absolutely beautiful user interface. As with all the FabFilter plugins, it’s also a great learning tool. If this plugin isn’t a part of your arsenal — get it now. You won’t regret it. Mix Tip: Use the frequency analyzer to show you what kind of harmonic content other processors (compressors, equalizers, saturators) apply to your material. This emulation of the classic tape machine is the first plugin that made me believe that digital audio was beginning to seriously rival analog. It’s my number one tool for transforming chilly, lifeless digital recordings into something that actually sounds like vibrant, emotionally impactful music. It’s a saturator, equalizer, compressor (of sorts), all-in-one. It gives you the sonic characterizes and flavors of analog tape, without the technical headaches, and at a fraction of the cost. It works on virtually everything: individual drums, instruments, vocals, sub-auxes, or the 2-buss. 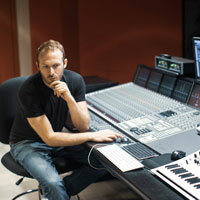 If you don’t own a UAD-powered system, consider this one of the top reasons to purchase one. Mix Tip: On sub-auxes or the 2-buss, experiment with the bias control by setting it to the point at which the signal is breaking up, and then dial it back ever so slightly. Then play with the input and output controls until you’ve achieved a wonderfully clear and open sound. I use this trick a lot. Echoboy and Decapitator were found at the top of my original top 10 list, and while Effect Rack isn’t technically a singular plugin, it allows you to use the entire Soundtoys Collection as if it were one. If you’re looking to mangle, crush, or entirely change the characteristics of your audio, perhaps no plugin company has created tools more useful and fun to use than Soundtoys. The workflow of the effect rack is what makes it so useful. Most of what I’ve learned about music production is from working in analog-based studios that would use racks full of vintage gear, chosen and calibrated specifically to be used as the vocal chain, drum chain, etc. Effect Rack allows you to drag and drop the Soundtoys plugins in whichever order you see fit, comes with tons of usable (or at least inspiring) presets, and features a master input, output and mix-blend knob. Mix Tip: Some of the presets are absolutely insane. Finding yourself bored a few hours into your mix? Load an instance of Effect Rack on an element of the arrangement that isn’t popping, and scroll through the presets for inspiration. If you’re limited to an in-the-box Mastering setup, Ozone 8 is quite simply the simplest, most versatile and cutting-edge option. The Master Assistant feature (new to version 8) provides great starting points for anyone still learning about mastering. Mix Tip: Try mastering a track using only one non-Ozone equalizer and limiter, and then bypass your work and use the master assistant to see how they compare. You may not prefer what Ozone suggests, but at the very least, it can be interesting to see how an algorithm compares to your own intuition. 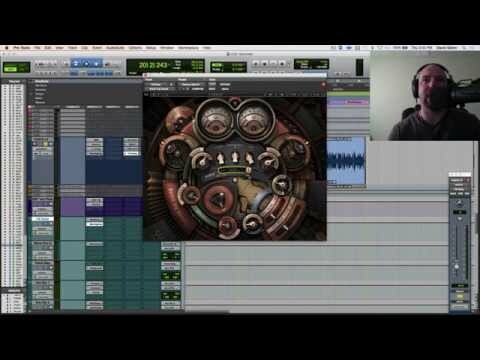 This small, Helsinki-based company released one of the most useful, unique plugins of the past year in soothe. It’s described as “a dynamic equalizer with self-adjusting bands”, but I like to think of it as “the greatest de-esser ever that also works on things besides vocals.” Basically, if you have material with excessive harshness, soothe can help. Mix Tip: Use it on the 2-Buss and experiment with some of the mastering presets, dial back the processing with the wet/dry blend control. The dry/wet blend knob is a feature that I believe should be on every single plugin at this point, and soothe got it right by including one for this purpose. This is quite simply the smoothest plugin equalizer I’ve ever heard. I tend to only use it on the 2-buss when mixing or during mastering, but it works wonderfully on vocals, bass, drum overheads, or pretty much anything. The original hardware is legendary, and UAD has done a fantastic job of emulating this behemoth. I was fortunate enough to have visited the incredible Manley Labs factory, and audio pioneer/overall awesome person EveAnna Manley had nothing but nice things to say about the plugin. Mix Tip: The Massive Passive tends to add a really unique spatial clarity to whatever you run through it, so experiment with automating the different parameters. 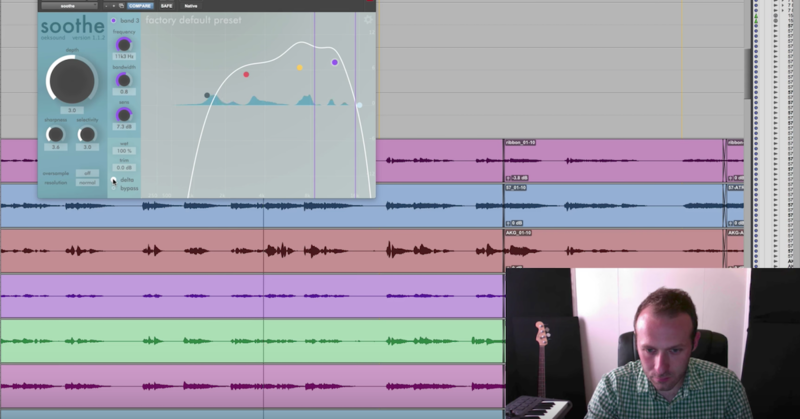 If you want to open up your chorus, try bypassing the plugin until the chorus hits, etc. We’ve seen a handful of wonderful plugins emulating analog reverb units, but sometimes, you need a tool that helps you create an entirely new, unique sense of space. For this purpose, I reach for the Pro-R. The amount of control you have over the tone of the reverb is the key feature here. For post-production, sound design, EDM or less vintage-inspired productions, this is my go-to reverb. Mix Tip: The Decay Rate EQ is the most unique and fun feature of this beautifully-designed plugin. 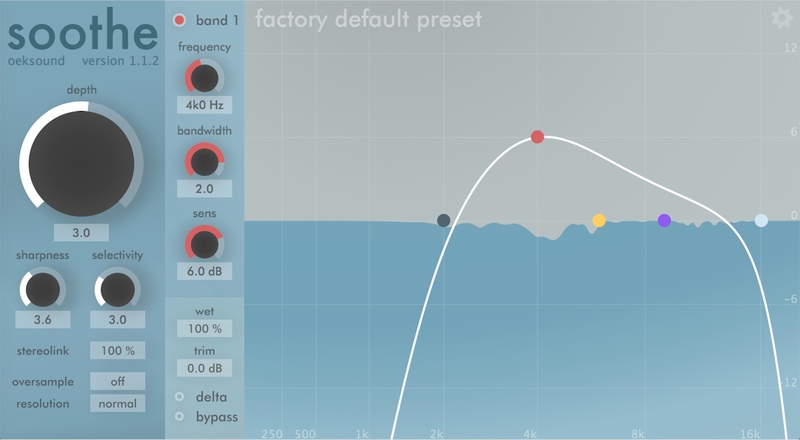 This allows you to control (with a Pro-Q 2 style GUI) how long certain frequency ranges reverberate. Experiment with that in conjunction with the Post EQ for brash, expressive, out-of-this-world sounding reverbs. If you’re looking for a compressor that can obtain a smooth sound (especially on vocals) in virtually no time at all, look no further than this emulation of the Tube-Tech CL1B. It’s transparent and warm at the same time. It’s not chock-full of features like some other plugin compressors, but the simplicity is a strength. 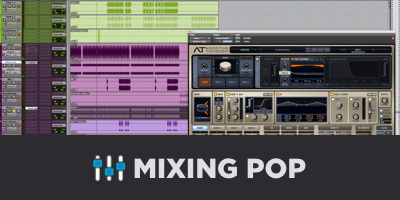 Mix Tip: The Native version allows you to use a key input for side-chain compression. Although there are more “precise” digital-style compressors and ducking tools out there that can assist in side-chaining quickly, I really enjoy the process of dialing in the exact attack, release, and threshold settings on the CL1B, not to mention the warm sound it imparts onto the signal. This plugin is cheating. Place it on material, experiment with the effect and curve sliders, and it will make your material sound better. It’s essentially an exciter/saturator, but it’s ease of use is astounding. Mix Tip: I don’t know. It works on everything, and with ease. Turn up the slider and your stuff sounds better. Most of the entries on this list (and contributions I make to this website) are specific to music production, but I also stay busy as an engineer in Post-Production and Sound Design. For this work, I simply couldn’t live without iZotope RX6. It’s simply the most comprehensive set of tools for dialog cleanup, noise reduction and adhering to broadcast standards currently on the market. Mix Tip: iZotope Insight still finds its way onto the last insert on my 2-Buss. A lot can be accomplished with the aforementioned tools that process your audio, but our ears can only tell us so much. For information I need to collect with my eyes, Insight handles pretty much everything.